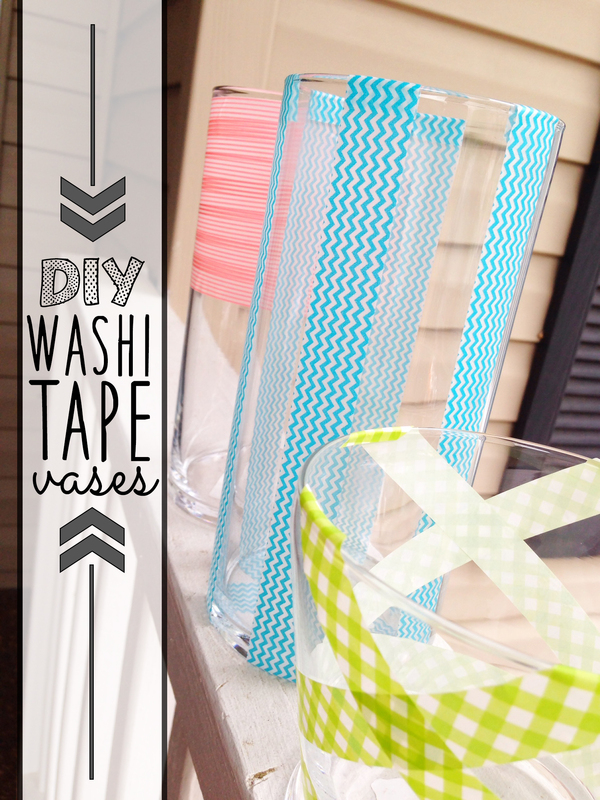 Isn’t washi tape a crafters dream?!? You can use it on most anything to take something from drab to spectacular. It’s easy to use and makes quite a statement. Do you ever think, “I wish I would’ve thought of that idea!” ??? No? Okay, maybe that’s just my inner inventive-voice. 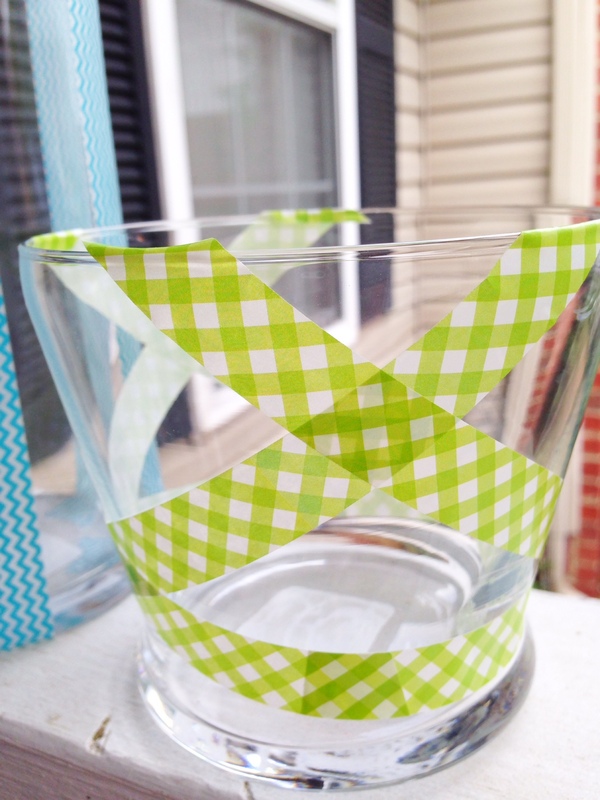 ;) That’s how I feel about washi tape. 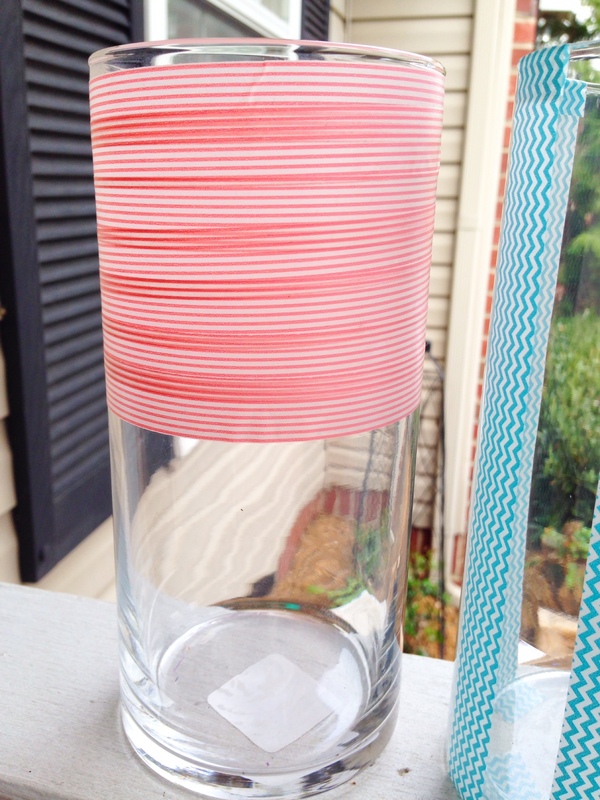 So clever and super useful. 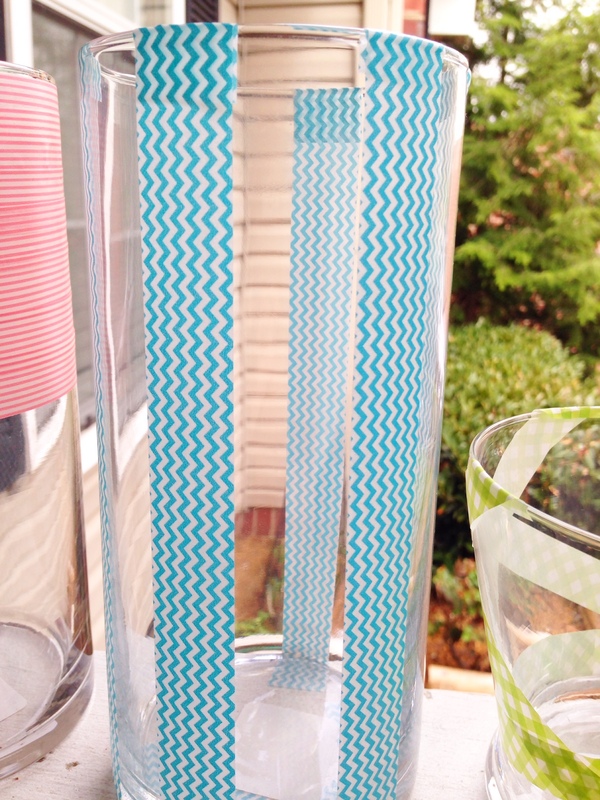 Since I had some left over vases from a recent event, I thought I’d put them to good use for spring with some washi tape. My Dollar Tree up the road is awesome. They had washi tape for A DOLLAR! I told my husband about this amazing deal and he just gave me a blank stare. 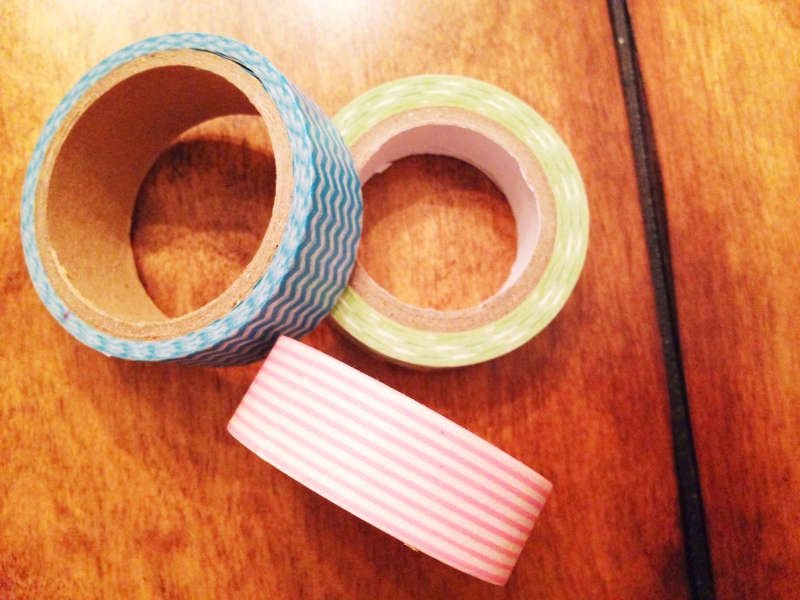 Obviously the phenomenon of washi tape hasn’t been made known to him yet. 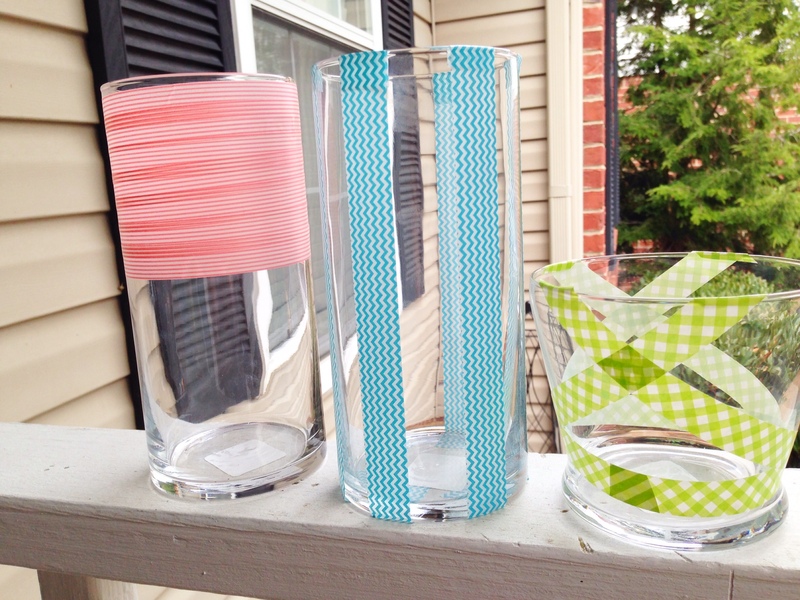 I determined three different simple strategies for using the washi goodness and in a jiffy I had these adorable spring-time vases that will have flowers placed in them very soon. Happy spring! What a cute and clever idea! I love the pattern and color.